Since the turn of the century, Argentina has been one of the world’s major economies. Our firm believes that Argentina has a strong history, and a strong future. Clients of all sizes from across Argentina rely on Davies & Associates for high profile advice. We pride ourselves on providing the highest quality and most creative U.S. business and immigration solutions available in the Argentine market. As of November, 2014 no application for a U.S. immigration benefit of any kind filed by our firm on behalf of an Argentine National has ever been denied. Critically our firm is based in the United States where the US Government makes decisions on many types of immigration cases filed. Our firm also maintains a presence in Buenos Aires through the Argentine law firm of Kier Joffe and is able to provide local support in Argentina where our team. Are also familiar with the US consulate in Buenos Aires and have met with key employees in the embassy to discuss U.S. immigration matters. With Spanish speaking attorneys and significant experience in assisting Argentine clients in the United States, our firm is well positioned to support Argentine clients. Our firm’s IT systems support a global approach and allow our clients 24/7 access to their files. We believe that the lawyers in our Argentina Practice Team are amongst the most creative and successful serving the Argentine market. When needed, we have the ability to call on support from experienced Argentine lawyers based in Buenos Aires. 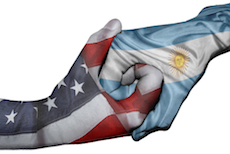 Through treaties negotiated with Argentina, the United States offers Argentine nationals the ability to apply for E-1 Treaty Trader visas and E-2 Treaty Investor Visas. Davies & Associates assists businesses of all sizes and entrepreneurs acquire and expand businesses in the United States. We assist our clients with all parts of the U.S. business opening and expansion process and have an outstanding track record of success. Assisting families and couples obtain U.S. immigration benefits. Assistance for US entities and businesses doing business in Argentina. Davies & Associates has a specialist team of family immigration lawyers who assist clients with marriage and family-based applications for U.S. immigration benefits. 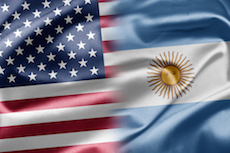 Argentine citizens can become eligible to apply for U.S. Nationality in a number of circumstances. It is worth remembering that while the United States currently allows its citizens to hold dual the position of Argentina is much more restricted. Our U.S. office frequently provides clients with advice on obtaining U.S. nationality. Both Argentina and the United States are countries that require their tax residents to pay taxes on their global income. 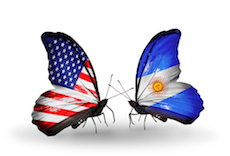 In the absence of a tax treaty between Argentina and the United States, effective tax planning is critical to avoiding additional tax liabilities. 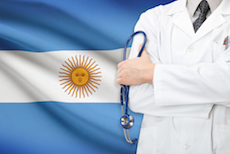 Our firm’s U.S. tax counsel is able to work seamlessly with our Argentine tax counsel or your personal tax advisor to minimize these exposures. Our firm has a specialized practice team that focuses on assisting medial professionals obtain licensure and the ability to work in the United States. Our Medial Licensure team is assisted by Stefania Ascuitti who is a cardiac surgeon and pre-eminent medical researcher. Stefania fills the role of Chief Medical Consultant to our legal team. Click here for more information on specialist solutions for medical professionals . Many Argentine nationals are able to qualify for an Italian passport. This process involves evidencing that you are of Italian decent. Through our relationship with Cavalier & Cavalier in Rome, our firm can also assist eligible Argentine nationals obtain Italian nationality. Unlike other countries of its size, the US only operates one central consulate in Argentina, which is located in Buenos Aires. Davies & Associates Lawyers have visited with the U.S. Consulate in Buenos Aires and maintain a good understanding of local procedure and practice at the consulate.